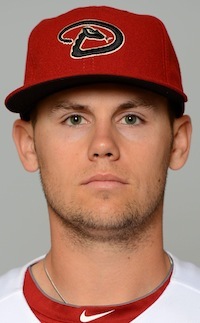 Updates, news and notes on former Cape Leaguers in the majors and in the minors. 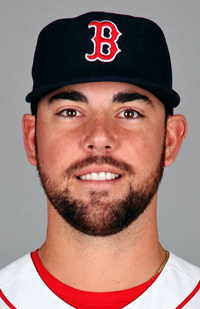 Two-season Cape Cod Baseball League veteran Anthony Ranaudo (Y-D, 2008; Brewster, 2010) is the International League’s Most Valuable Pitcher and one of six former CCBL players named to the league’s 2014 postseason All-Star team. 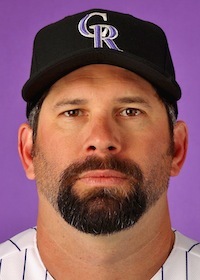 News, notes and more on former Cape Leaguers in the majors and in the minors. 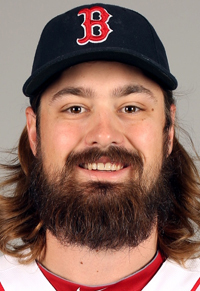 Two former Cape Leaguers in the minors could force Jarrod Saltalamacchia to relinquish a share of his unique status as longest name in Major League Baseball if they get the call. 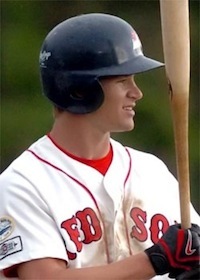 Gordon Beckham (Y-D, 2007) has been traded to the Los Angeles Angels of Anaheim by the Chicago White Sox. 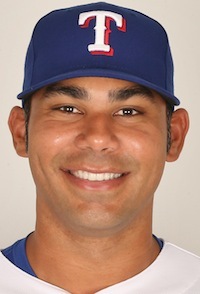 Texas Rangers release veteran first baseman Carlos Pena (Harwich, 1996; Wareham, 1997). 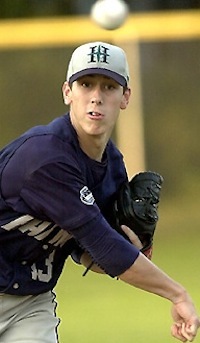 Walker Buehler (Yarmouth-Dennis) and Marcus Mastrobuoni (Yarmouth-Dennis) named Coca-Cola Pitcher and Player of the Week #10. 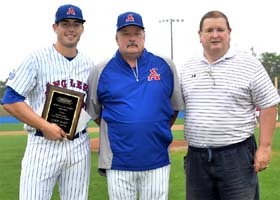 Adam Whitt (Nevada Reno) and Phil Bickford (California St. Fullerton) were honored as the 2014 Cape Cod Baseball League Russ Ford most outstanding relief pitchers. 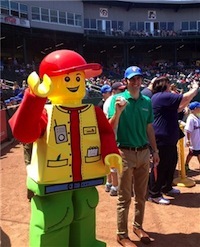 Red Sox Walker Buehler and Marcus Mastrobuoni were named Pointstreak most valuable playoff performers of the 2014 Cape Cod Baseball League postseason. 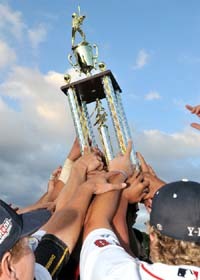 With a 10-4 win on Friday afternoon, the Y-D Red Sox completed their sweep of the Falmouth Commodores and took home the 2014 Arnold Mycock Award as the Cape Cod Baseball League Champions. 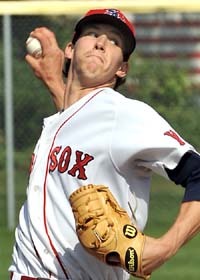 Walker Buehler (Vanderbilt) tosses eight scoreless innings as the Y-D Red Sox defeat the Falmouth Commodores 5-0 in Game 1 of the best-of-three Cape Cod Baseball League championship series, presented by Rockland Trust. 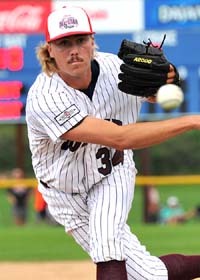 Y-D Red Sox reliever Phil Bickford recognized as the 2014 Cape Cod Baseball League's Outstanding Pro Prospect. The 2014 Cape Cod Baseball League Championship Series is now set with Falmouth and Y-D playing for the coveted Arnold Mycock Trophy. Y-D Red Sox blank the Harwich Mariners to advance to the Cape Cod Baseball League championship series, presented by Rockland Trust. 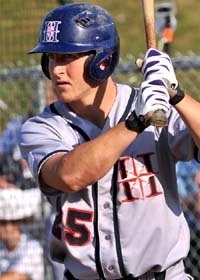 Kolton Mahoney (BYU) was honored with the 2014 Cape Cod Baseball League's B.F.C. 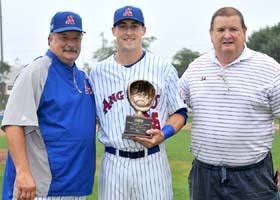 Whitehouse Outstanding Pitcher Award for his incredible season on the mound with the Orleans Firebirds. The Harwich Mariners bounce back in Game 2, defeating the Y-D Red Sox to force a decisive Game 3 in the Cape Cod Baseball League best-of-three East Division finals, presented by Rockland Trust. 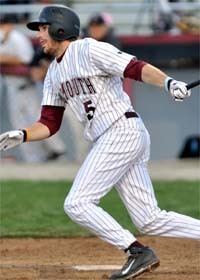 The Falmouth Commodores advance to the Cape Cod Baseball League championship series by sweeping the Cotuit Kettleers in the best-of-three West Division finals, presented by Rockland Trust. 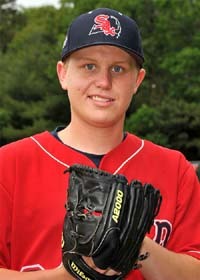 Kevin Duchene (Yarmouth-Dennis) and Joe McCarthy (Harwich), pictured, named Coca-Cola Pitcher and Player of the Week #9. 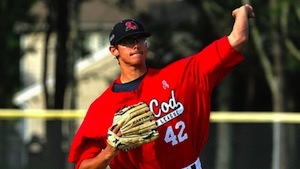 Cotuit struggled to figure out a dominant Alex Young (TCU), who nearly went the distance tossing eight innings and striking out eight. After upsetting the No. 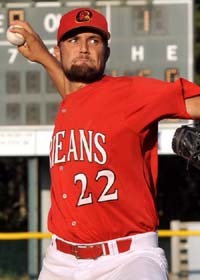 2-seeded Orleans Firebirds two games to one in the first round, the third-seeded Y-D Red Sox were back at it Sunday night, beating the top-seeded Harwich Mariners 7-2 on the road at Whitehouse Field. 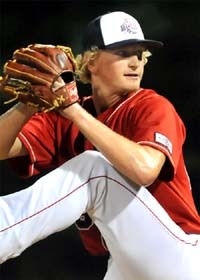 Kevin Duchene and the Y-D Red Sox shut down the Orleans Cardinals to advance to the Cape Cod Baseball League East Division finals, presented by Rockland Trust. Cotuit Kettleers finish off the Bourne Braves to advance to the Cape Cod Baseball League West Division finals, presented by Rockland Trust. The divisional finals are now set with Y-D vs. Harwich and Cotuit vs. Falmouth. 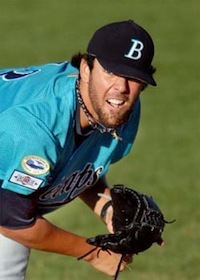 News, notes and more on former Cape Cod Baseball League players in the majors and the minors. Yarmouth-Dennis Red Sox deliver a decisive 9-0 victory over the Orleans Firebirds to force a decisive Game 3 in the best-of-three East Division semifinal playoffs, presented by Rockland Trust. Playoff schedule for Saturday, Aug. 9, 2014, based upon Friday's results. 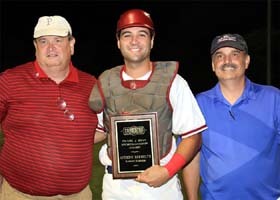 Harwich Mariners All-Star catcher Anthony Hermelyn (Oklahoma) is the recipient of the 2014 Daniel J. Silva Sportsmanship Award. Falmouth Commodores advance to West Division finals after sweeping the Hyannis Harbor Hawks in the Cape Cod Baseball League playoffs, sponsored by Rockland Trust. Cotuit Kettleers force a decisive Game 3 against the Bourne Braves in the Cape Cod Baseball League West semifinal playoffs, presented by Rockland Trust. 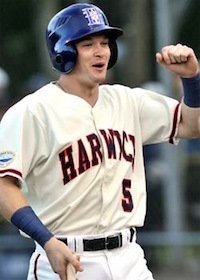 Harwich Mariners complete a sweep of the Brewster Whitecaps in the best-of-three Cape Cod Baseball League East Division semifinal playoffs, presented by Rockland Trust. 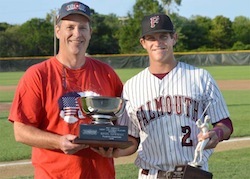 Falmouth's Kevin Newman notches batting title for second year in a row and also lands Cape League MVP honors. Bourne breaks a 3-3 tie in the fifth inning and never looked back in taking Game 1 over Cotuit in the West playoffs, presented by Rockland Trust. Bourne's Chuck Sturtevant wins the John Wylde General Manager of the Year Award. 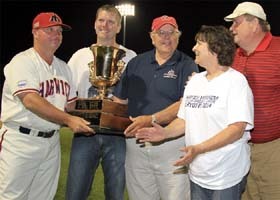 Cape Cod Baseball League honors the Bourne Braves with the President’s Trophy and the West Division Championship Cup. 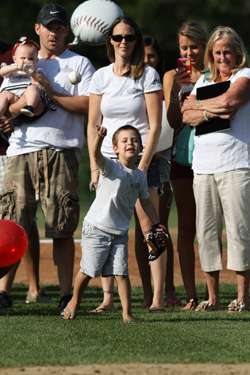 Harwich wins the 2014 Commissioner’s Cup in recognition of organizational excellence on and off the playing field. 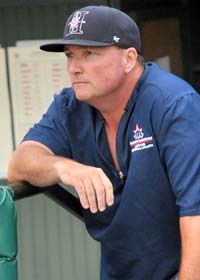 Harwich Mariners skipper Steve Englert is named the 2014 Mike Curran Award recipient as Manager of the Year in the Cape Cod Baseball League. 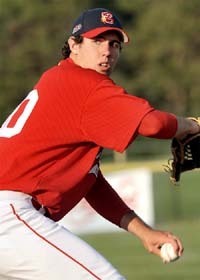 Orleans bests Y-D 3-0 in Game 1 of Cape Cod Baseball League East Division playoffs, sponsored by Rockland Trust. Harwich Mariners dominate Brewster Whitecaps 7-2 in Game 1 of the Cape Cod Baseball League East Divisional playoffs, presented by Rockland Trust. Weather put a damper on Cotuit vs. Bourne but Falmouth came away with a 3-0 victory over Hyannis in the other West Division playoffs matchup. 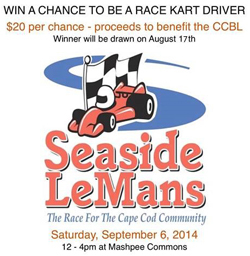 Game 1 of the first round of the CCBL Playoffs (Best 2 out of 3) begins this Wednesday, Aug. 6. 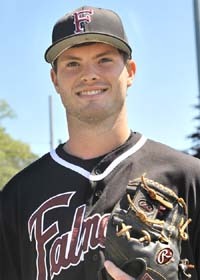 Ryan Kellogg (Bourne) and Jackson Glines (Cotuit) named Coca-Cola Pitcher and Player of the Week #8. 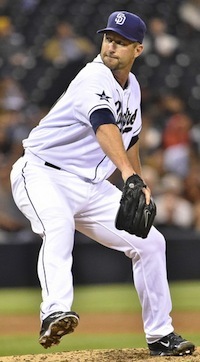 Anthony Ranaudo (Y-D, 2008; Brewster, 2010) made his long awaited major league debut Friday night, pitching six strong innings and earning the victory. 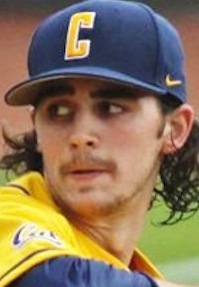 Former Cape Cod League players figured prominently in a cascade of deals Thursday before Major League Baseball’s non-waiver trading period ended at 4 p.m. ET. 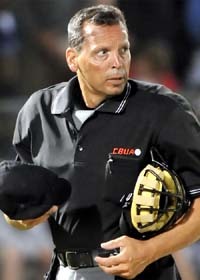 Jim McNally, past winner of the Curly Clement Umpire of the Year award, was a longtime friend of the CCBL.